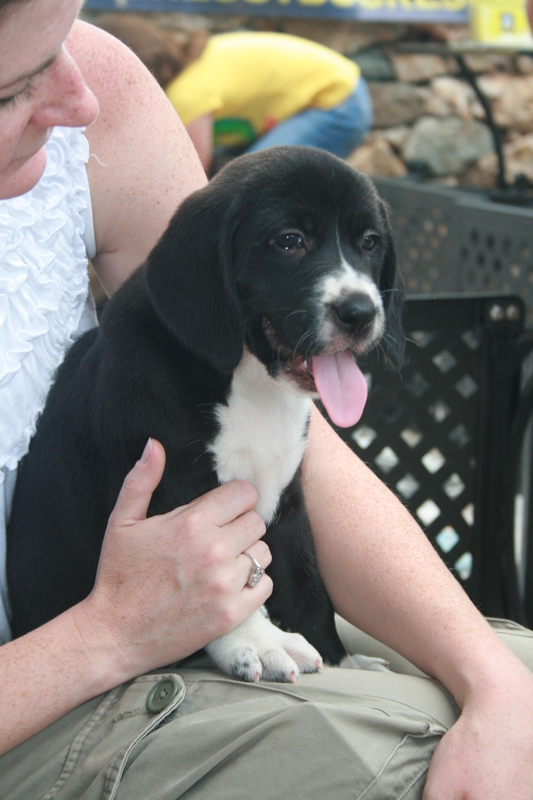 Headed out to Barrel Oak Winery’s Dog Days on Sunday, and came this close to adding a third dog to the family! 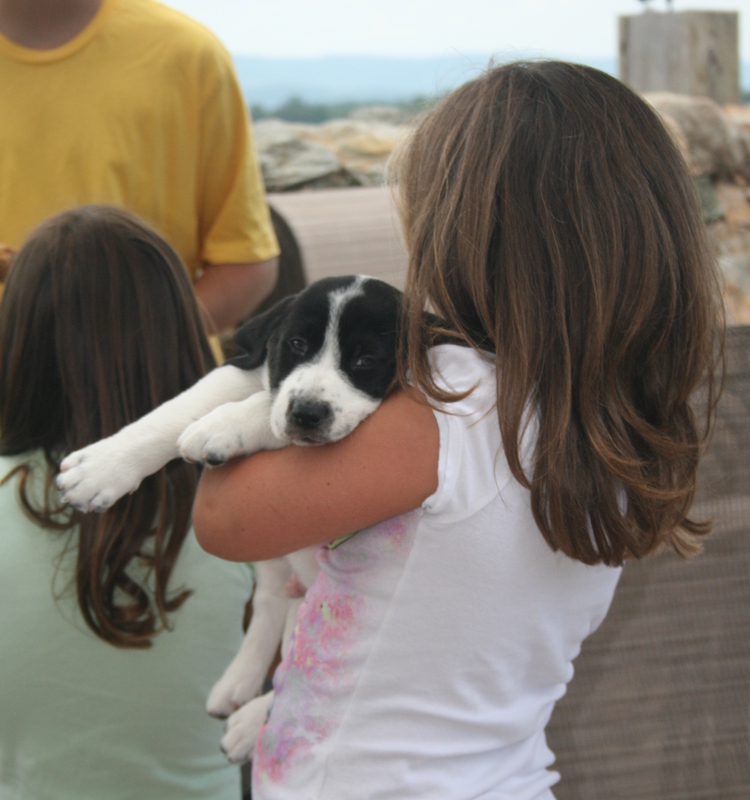 Lost Dog and Cat Rescue Foundation had a litter of adorable puppies for adoption, and those sweet puppy kisses almost did me in. The weather couldn’t have been better, with a nice breeze and much cooler temperatures than we’ve had for a while. 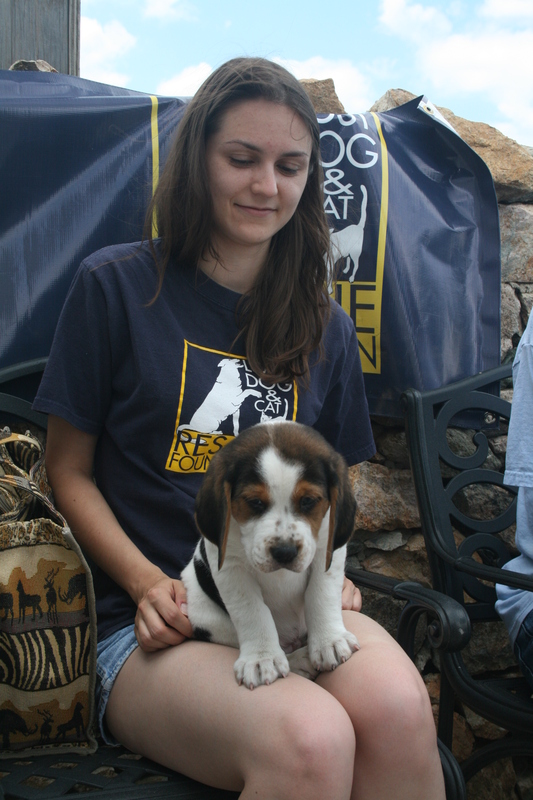 As usual, Barrel Oak held a great event for dogs and humans alike. (left to right) Sundae, Chatham and Bailey enjoyed the weather and human company. 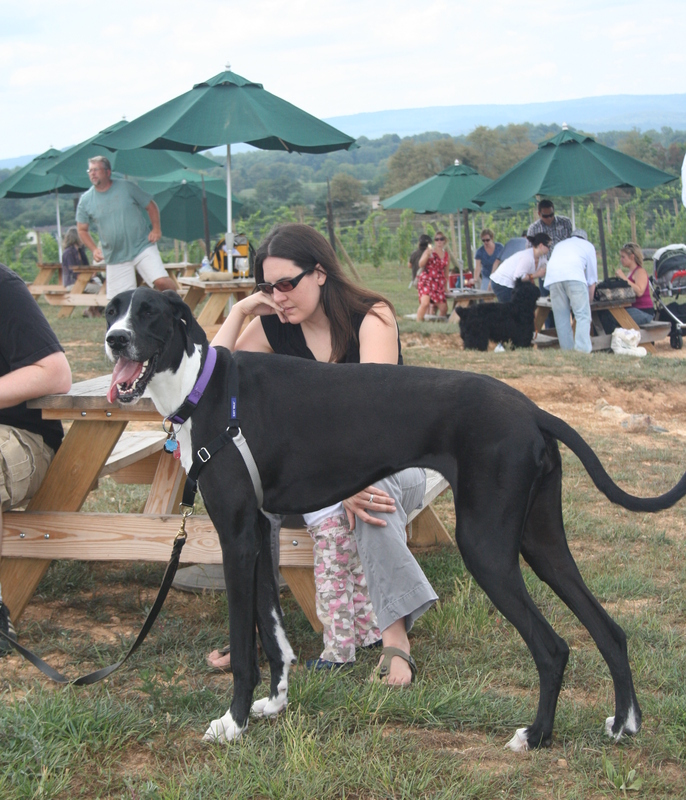 For anyone who brought dog food, Barrel Oak gave you a full wine tasting–which is about a dozen wines–and the food was donated to the Fauquier County Animal Shelter. 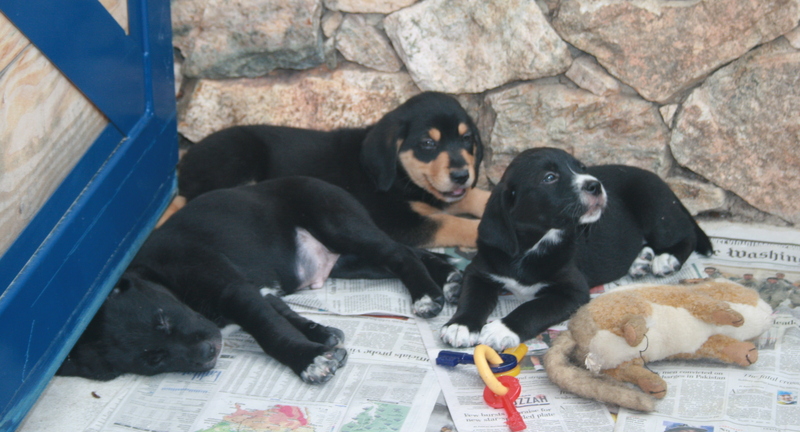 There will be some happy pups at the shelter! 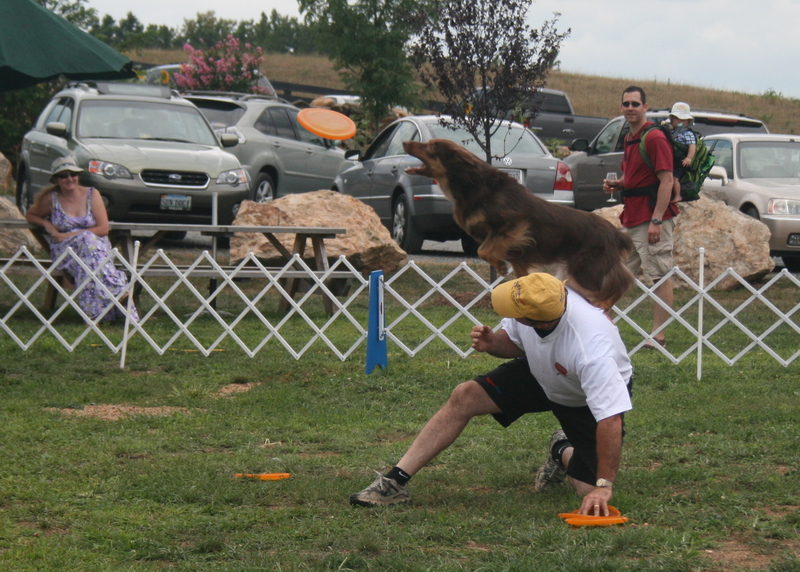 The entertainment, other than dog-watching and puppy-kissing of course, was provided by Great American Disc Dogs. 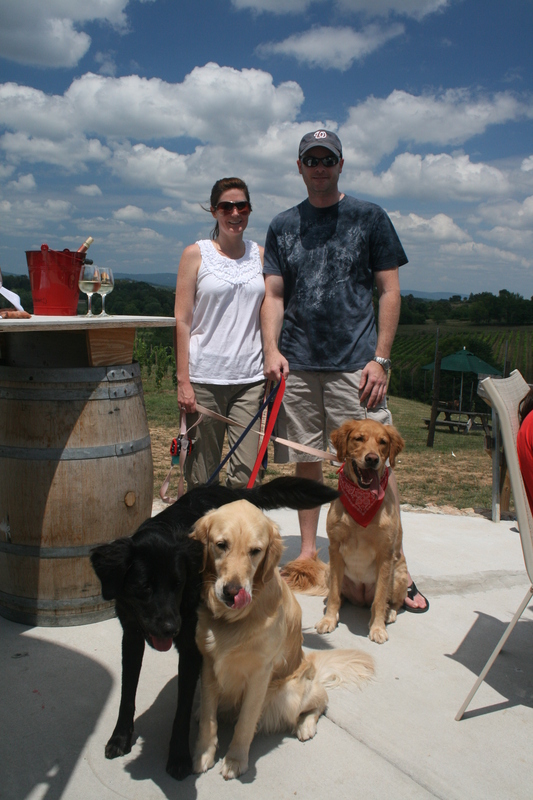 Disc dogs wowed the wine tasters. 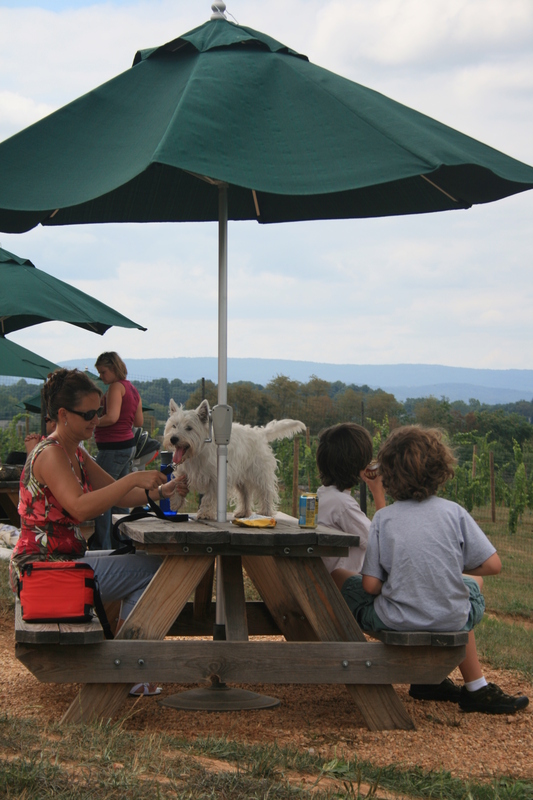 Barrel Oak has done a great job of creating a family- and dog-friendly venue perfect for a relaxing day in the country. 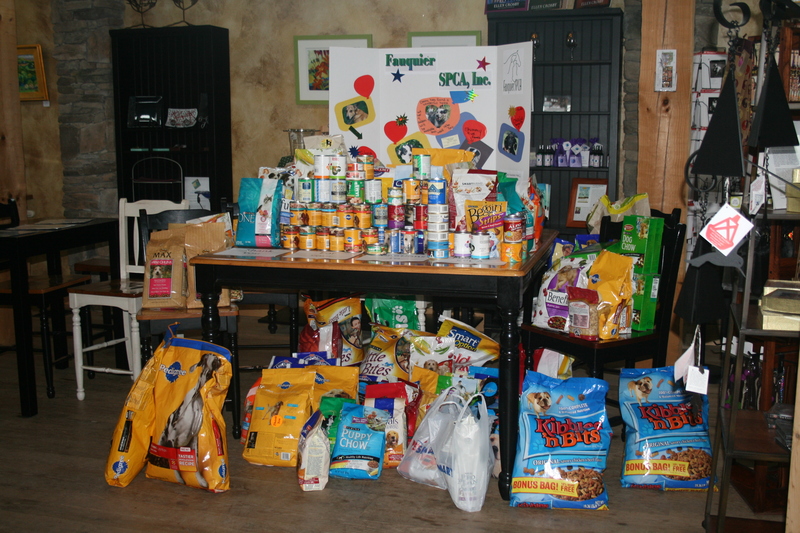 And kudos for always sharing the wealth by tying their events in to an animal charity! While this guy luckily kept his paws on the ground! Here are a few more puppy pictures, just in case you’re less able to resist than I was, or you don’t already have two dogs at home!